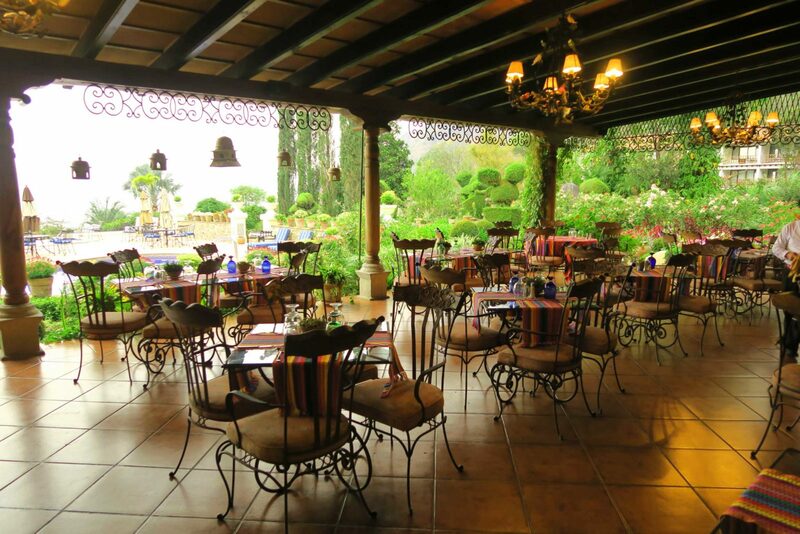 Hotel Atitlan is a charming, long-established Spanish colonial-style property just outside Panajachel town with an enviable location directly on the shores of Lake Atitlan with private lake access. 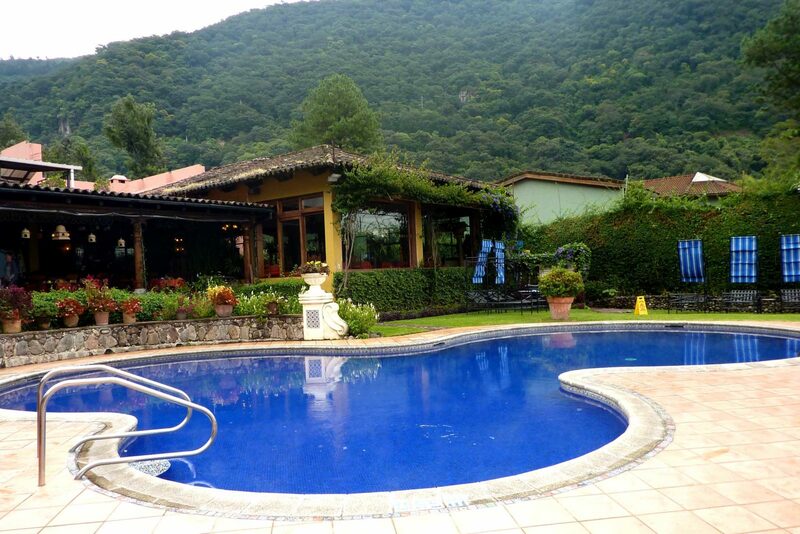 On clear days you will have picture-perfect views from the pool of the three volcanoes San Pedro, Toliman and Atitlan across the lake. 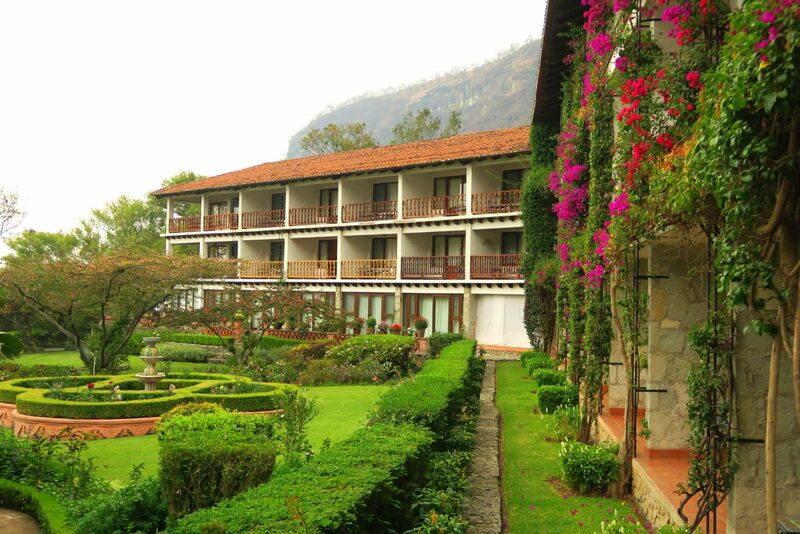 Each room features a private balcony overlooking either Lake Atitlán or the hotel’s tranquil grounds. 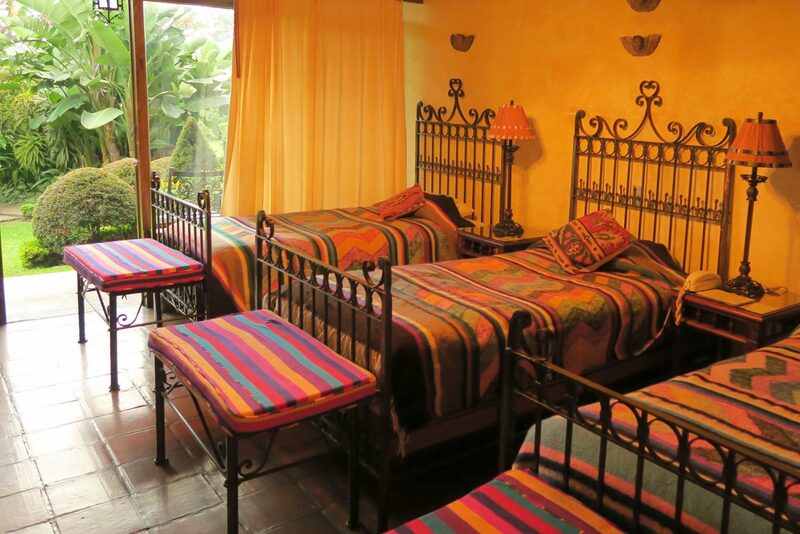 The accommodation has been individually decorated with authentic artwork from local Guatemalan villages. 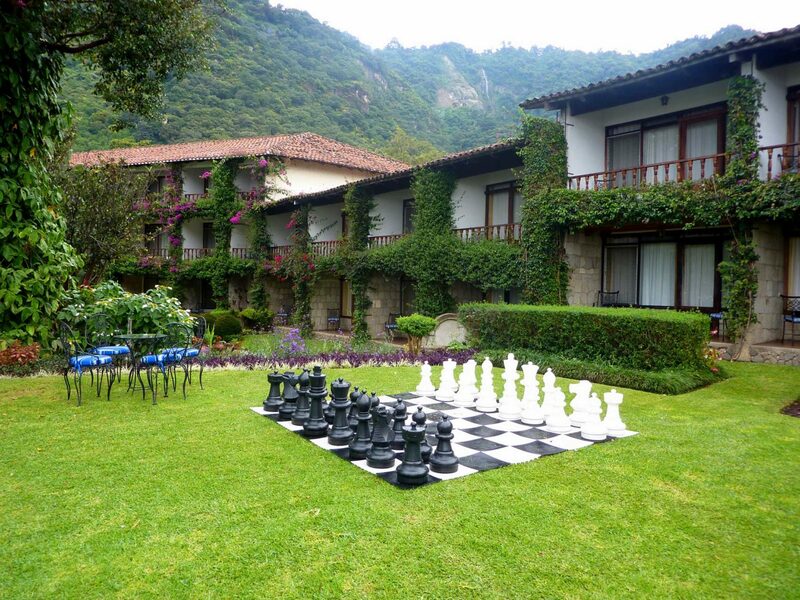 The beautiful swimming pool and Jacuzzi overlook the entire lake and the hotel’s magnificent botanical gardens are a true horticultualist’s paradise. 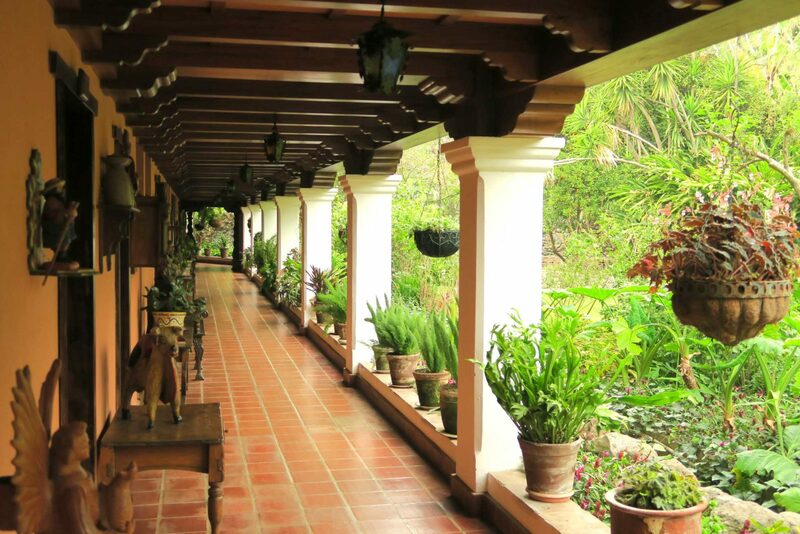 In the morning, begin the day taking in the sounds of the exotic birds and fluttering butterflies among the flowers and shrubs. A stunning outdoor pool and Jacuzzi, restaurant, bar and lounge, complimentary free Internet, cable television and spa-style baths with plush towels and deluxe bath products, a fitness centre, laundry service and a shop. 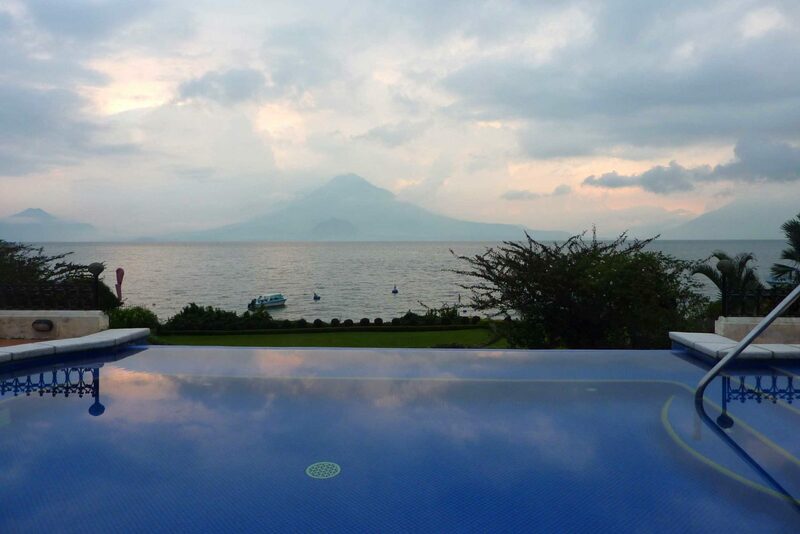 Picturesque Lake Atitlán offers a diverse array of sights, attractions and recreational activities. 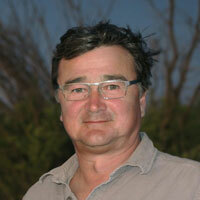 From trekking and boat trips to archaeological sites, diving sunken Mayan villages, kayaking and fishing. The nearby San Buenaventura Nature Reserve is perfect for wildlife hikes. 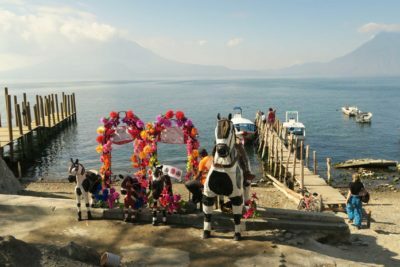 In just one day, you can summit a lakeside volcano, set off on a horseback riding adventure and tour a working coffee plantation. 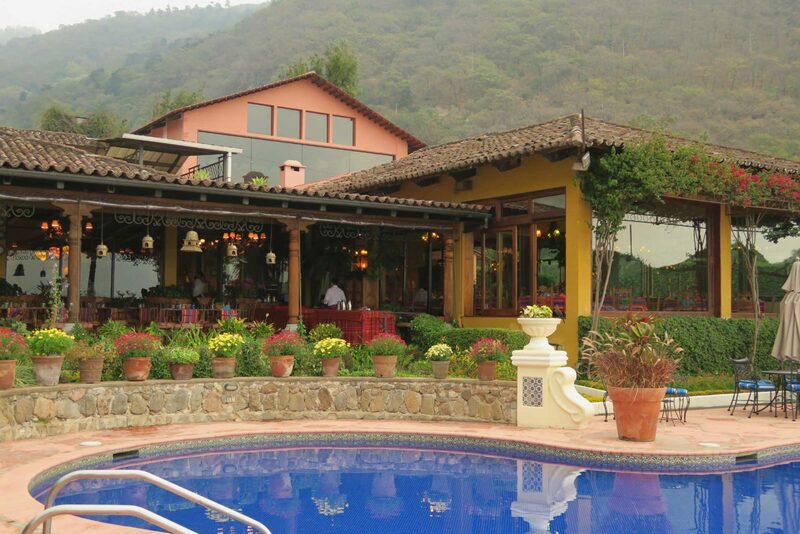 The hotel is perfect for those wanting a quiet, scenic location yet with easy access to Panajachel town with its colourful shops, varied restaurants and dock from where boats embark for lake trips. 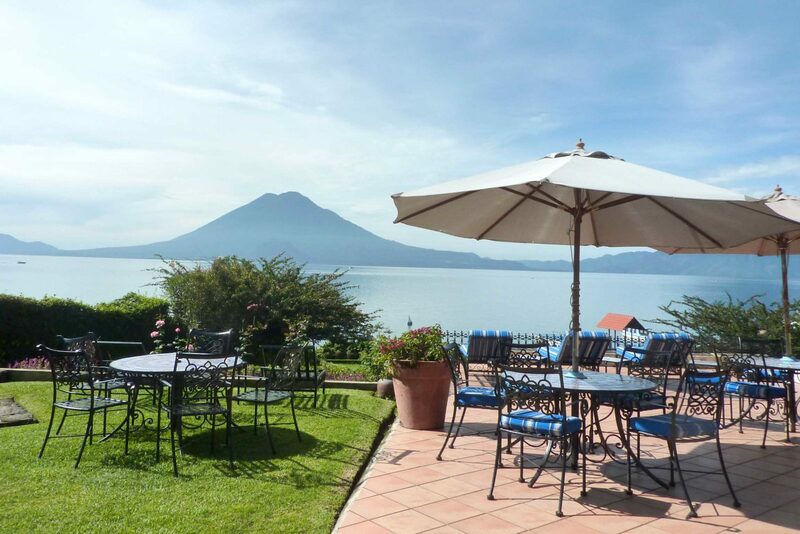 Request a room on the upper floors for the best views of the lake and volcanoes.